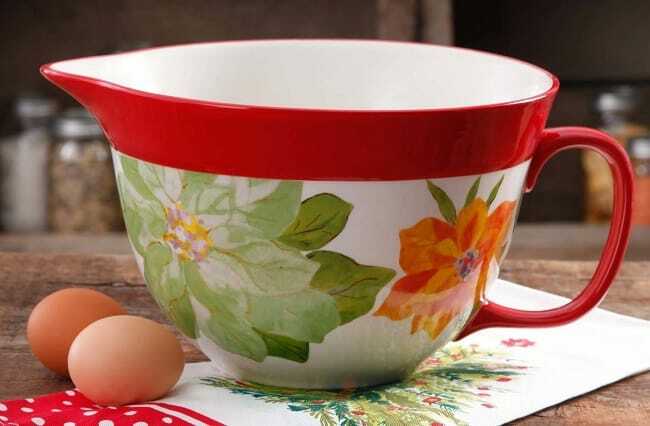 Walmart has rolled back the price of this Pioneer Woman Poinsettia Batter Bowl from $18.82 to only $9.97! Prep for an exciting day of baking and mixing with The Pioneer Woman Batter Bowl. Made of durable stoneware and featuring an enticing and lush floral exterior, it is a stylish find for any baker. Mix and match this item with other pieces of the poinsettia collection. It has a 2.83 qt capacity to accommodate plenty of dishes and ingredients. This mixing batter bowl is both dishwasher and microwave safe. Take your water balloon fights to the next level with this Ultimate Water Balloon Launcher. Right now, you can get this for just $5 (reg. $20). Just load up the launcher with your balloon, and it’s bombs away! This hurls the water balloons up to 60 feet. And, you’ll get 50 balloons with your launcher. This comes in two colors – blue and pink – so there’s one for boys and girls. At this price, you’re going to want to grab one for everyone in your family so you can have epic water balloon fights this summer! Don’t miss out on this Ultimate Water Balloon Launcher whilei it’s on sale! If you love GroopDealz, also check out Jane, Cents of Style and Belle Chic. Below is a list of some of the best FREE and Cheap e-Books you can download on your e-reading device today! Don’t have a Kindle? That’s OK! You can read Kindle books on computers and most smartphones and tablets – iPhones, iPads, Android Devices and more! Amazon has a selection of Kindle Readers and Fire Tablets where prices start at $49.99. As always, amazon prices and freebies are schedule to change. Remember you get FREE Shipping on Amazon when you spend $25 or FREE shipping with Amazon Prime. Grab a Trial of Amazon Prime! As a reminder, Amazon prices can change at any time. This price was current at publishing time. Be sure to confirm the price before purchasing to ensure this deal has not changed or expired. Find more FREEBIES and Amazon Deals on Frugal Coupon Living. What better way to celebrate friends and family than with a glitter heart bowl? 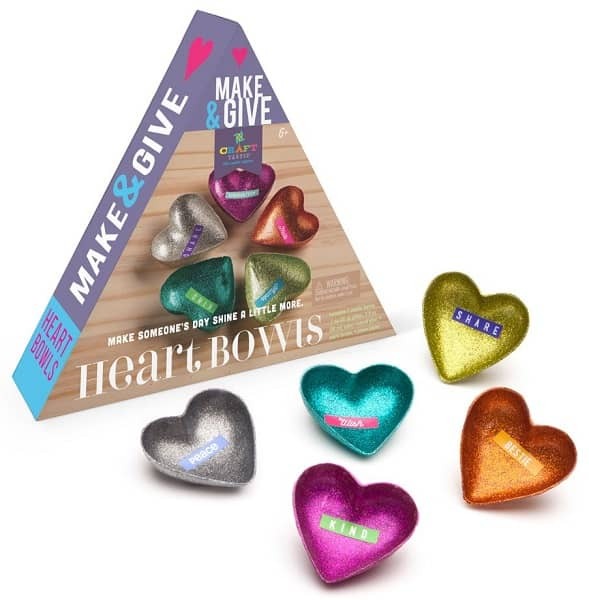 This Craft-tastic Make and Give Heart Bowls kit makes 5 Little heart-shaped glitter bowls made of only glitter and glue. Then decoupage a note of encouragement inside. Check out more Valentine’s Day Gift Ideas in the Valentine Gift Shop. Jumpsuits are trending, and this is one you’re going to want in your closet. Get these trendy jumpsuits for $25, down from $58. These jumpsuits are perfect for layering. For an office look, you can pair it with a blazer and a pendant necklace. For an everyday look, add a floppy hat to the mix. And, for a date night you can glam it up with statement jewelry, a cute clutch and shoes. You’re going to want this in both colors! If you love Jane, also check out GroopDealz, Cents of Style and Belle Chic. Find more Fashion Deals on Frugal Coupon Living.